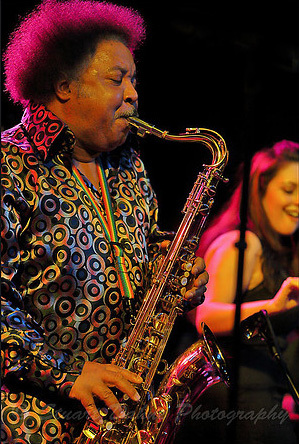 Ron Holloway is one of the busiest tenor saxophonists on today’s music scene in any genre! Recently, Ron toured extensively with The Warren Haynes Band, in support of two critically acclaimed releases on the Stax Records label. Holloway is a frequent guest of Gov’t Mule, Tedeschi Trucks Band, The Allman Brothers Band, and many others. Over the years, he has been a member of an eclectic roster of groups, including; the Susan Tedeschi Band, the Dizzy Gillespie Quintet, Gil Scott-Heron and Root Boy Slim. The Ron Holloway Band is a 7-piece saxy, funk machine out of Washington DC. Combining sax driven jams along with soaring female vocals, intensely emotive guitar, and hard hitting grooves to deliver a full on funk, rocking show. Pulling from influences such as Sly & the Family Stone, Parliament Funkadelic, and other funk masters, RHB provides a blend of rock, funk, soul, and R&B grooves to hit you with a high-energy sound and presence. A relatively young band, this group has quickly made waves on the festival scene, having the pleasure of being joined on stage by greats such as Warren Haynes, Jack Pearson, Derek Trucks, Susan Tedeschi, as well as members of Gov’t Mule and Tedeschi Trucks Band. 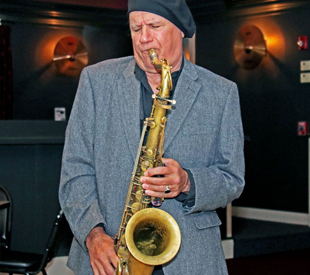 In the Biographical Encyclopedia of Jazz, renowned jazz critic Ira Gitler describes Ron Holloway as “a bear-down-hard-bopper who can blow authentic R&B, and croon a ballad with warm, blue feeling.” While true, this only begins to touch upon the versatility of the tenor saxophonist! The quest for complete expression has been a hallmark of Ron Holloway’s music from the beginning. Also note, Ron Holloway will also be performing Saturday night at Tellus 360 with Sweet Leda from 10:45 p.m. to 12:15 a.m.